A clever usage of navigation TABs allows operators to gain an overview of, and insights into, different statuses and situations. This is particularly useful when communicating with numerous radios. Status messages, callback requests, and text messages are categorized under different TABs. 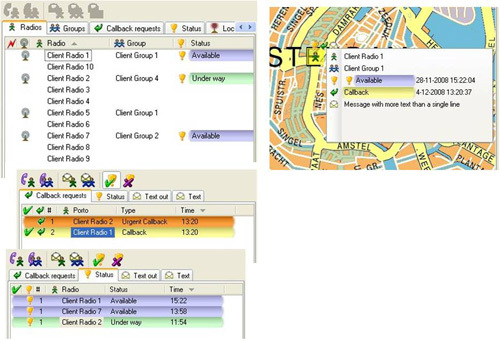 And, action related to radios can be achieved via the various navigation TABs or from the map.